A couple of weeks ago I interviewed the lovely Fleur McDonald (author of the Australian novels Red Dust and Blue Skies). 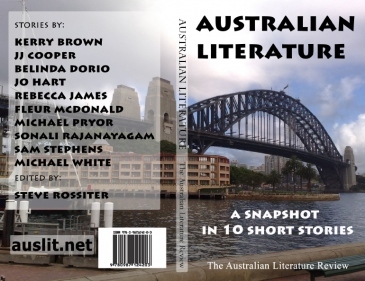 I am lucky enough to have a short story appearing in the same anthology as Fleur (Australian Literature: A Snapshot in 10 Short Stories). Today Fleur has posted an interview with me on her blog where I talk about my writing, balancing writing with motherhood and a little bit on my short story in the anthology.